New planner joins the Amsterdam team! We are pleased to announce the addition of Pepijn de Groot to our team in Amsterdam, beginning 27th September. Pepijn joins artlogic’s Netherlands branch as a junior planner, assisting in the coordination and booking of crew in projects across the country. This new addition not only bolsters our team in the region but give our clients an even stronger network to rely on when planning their events. 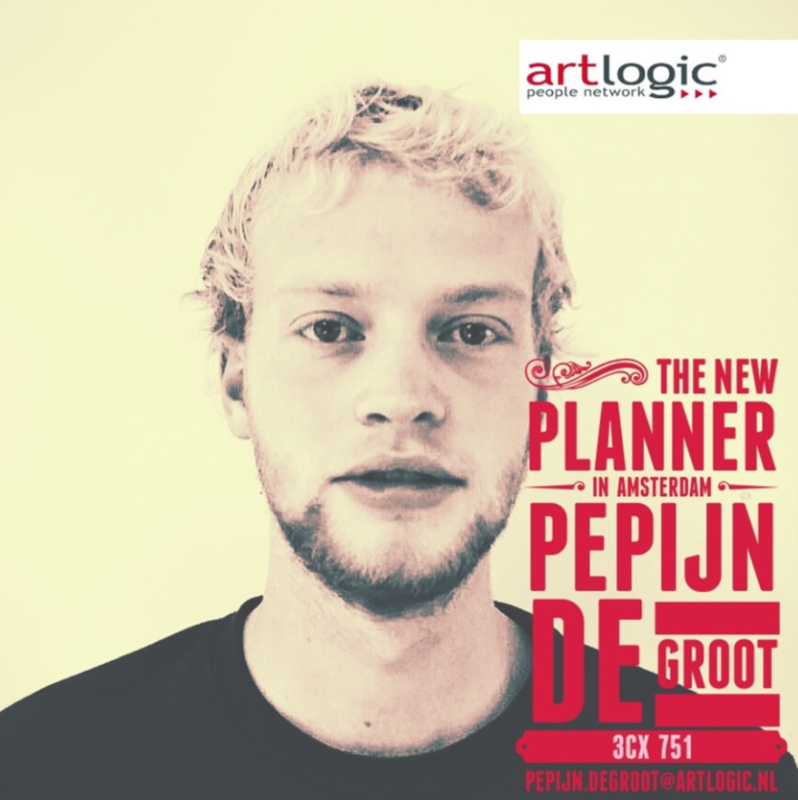 Pepijn, 22, studied logistic and economics in Amsterdam prior to joining the artlogic team. He also brings with him a wealth of knowledge of both the city and the industry, having worked in events production during his studies. This knowledge of local venues and building events is exactly the kind of service artlogic is famous for providing and will serve the branch well moving forward. Artlogic is the people network, and that network is always growing. Every new member we welcome to our team helps us deliver our service to more and more events, clients and locations across Europe. https://artlogic.biz/wp-content/uploads/Pepijn-1.png 881 879 SuperAdministrator https://artlogic.biz/wp-content/uploads/logo2-1.png SuperAdministrator2018-09-27 16:13:072018-09-27 16:19:50New planner joins the Amsterdam team! Edmund Ziegler moves to AMBION GmbH Two new planners for artlogic Spain!